Chidambaram is a town and municipality located in Cuddalore district of Indian State of Tamilnadu. 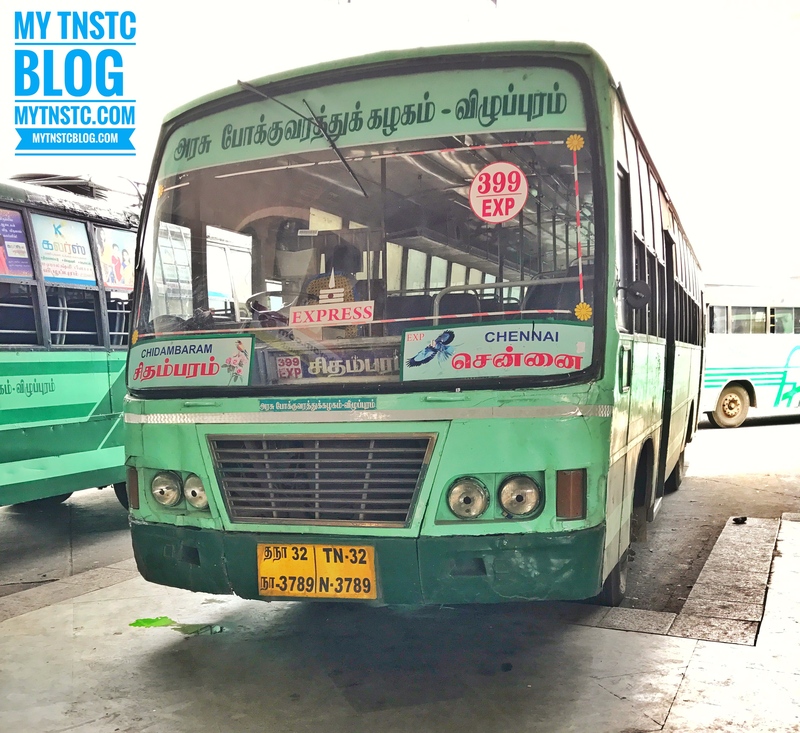 TNSTC operates bus service to Chidambaram from Chennai and Chidambaram to Chennai with route no. 399 Express. The service is a blessing to the passengers traveling from Chidambaram to Chennai. The town is famous for Thillai Nataraja Temple and annual chariot festival conducted on December to January every year. The bus used for the service is a standard bus made in Ashok Leyland or Tata chassis with 3*2 seat layout. The service at present cannot be booked online via www.tnstc.in. The passengers can board the service from Chennai at Chennai Moffusil Bus Terminal located in Koyamedu. The bus terminal is well connected with Bus and Metro services.